The deadline has been extended to Wednesday, October 21st! 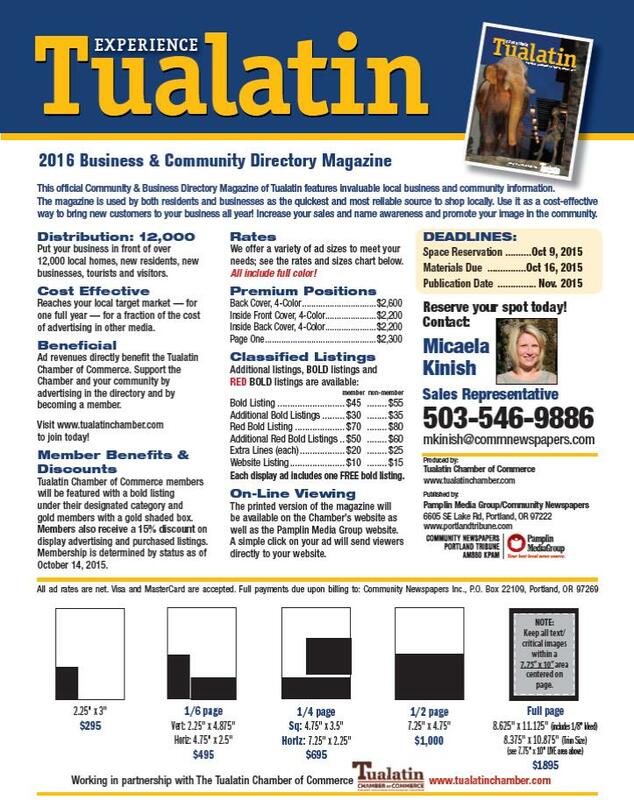 The Tualatin Chamber is working with Pamplin Media Group/Community Newspaper again to put together our 2016 Business & Community Directory Magazine! This official magazine features invaluable local business & community information. It is used by both residents and businesses as the quickest and most reliable source to shop locally. Use it as a cost-effective way to bring new customers to your business all year. Increase your sales and name awareness to help promote your image in the community! Distributed to 12,000 businesses: including local homes, new residents, new businesses, tourists and visitors. For one full year your business will be advertised to your local target market for a fraction of the cost of advertising in other media. Tualatin Chamber Members will be featured with a bold listing under their designated category and gold members will stand out with a gold shaded box. Members also receive a 15% discount on display advertising and purchased listings. Must be a member by October 14, 2015 to receive membership discounts. 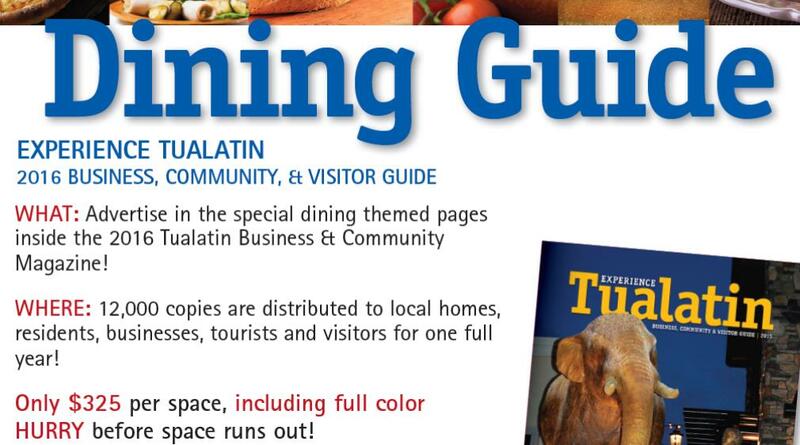 Ad revenues directly benefit the Tualatin Chamber of Commerce. 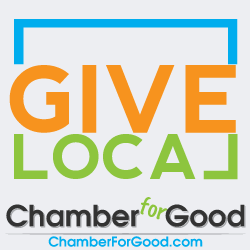 Support the Chamber and your community by advertising in the directory and by becoming a member. Visit www.tualatinchamber.com to join today! Reserve your spot today! 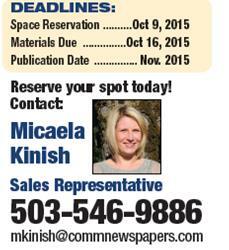 Contact Micaela Kinish, Sales Representative with Pamplin Media Group/Community Newspaper. As a Chamber Member, it is very important that you make sure your profile is up to date so your listing in the directory is accurate. Please log-in to your profile and update it today! Any questions, contact Ida Hecker, Tualatin Chamber Admin at ida@tualatinchamber.com or 503-692-0780. Thank you! New this year we will begin offering a “Dining Guide” section within the annual Chamber Magazine! All ads are full color and space is limited! ← Veteran’s Recognition Breakfast – Sponsors Needed!